This customizable gold plated medallion depicts the Star of David, known also as the six point star, in its interlocking arms form. 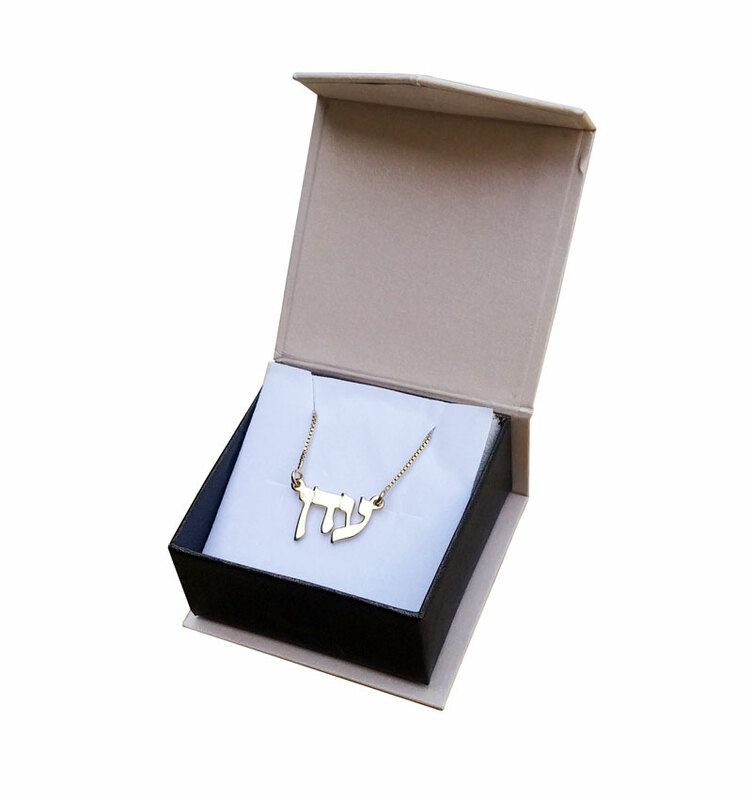 Above the six point star is an open space for you to put your name into the pendant as well. This dazzling work of gold plated Israeli jewelry depicts the Magen David on it, also known as the Star of David, or simply the six pointed star. 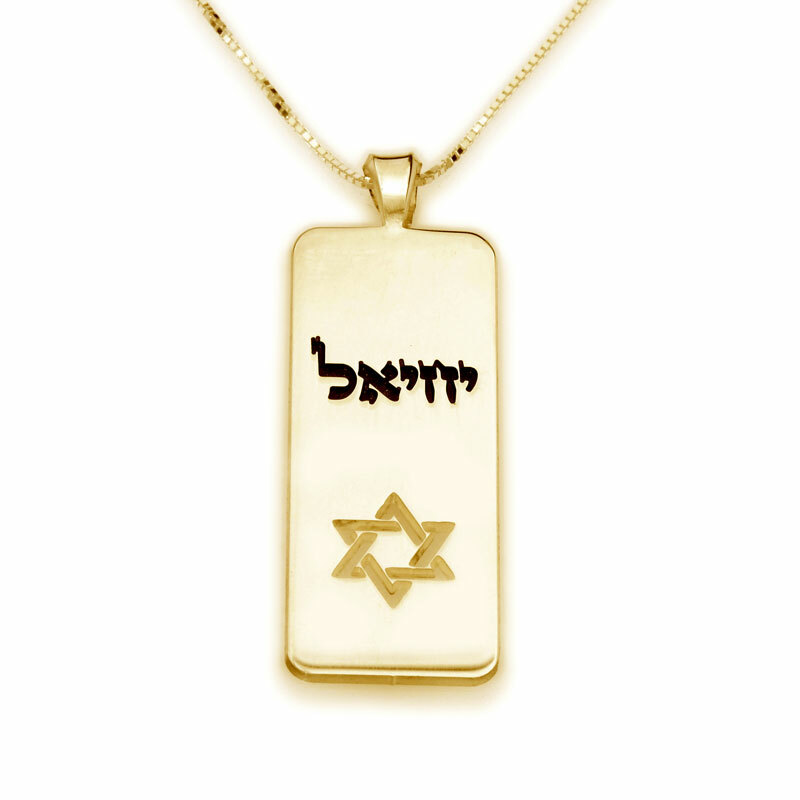 Progressing upward along the pendant is your name written in Hebrew so that anyone can know at a glance that this is the proud owner of a “Magen David” name necklace. Certain legends have it that King David, in his various conquests carried an actual shield shaped like a six point star, or at least that such a star adorned his shield. Others simply feel it was an interesting name, and that it had nothing to do with King David whatsoever. In either case, it is universally agreed that this symbol is closely related to the Israeli and Jewish people, as demonstrated by the centerpiece of the blue and white Israeli flag!